Enjoy plenty of one-on-one time working directly with a master trained chef in the privacy of your home, office, or event space. Visit our Recipe Blog page to see the latest recipes and cooking techniques. We bring the fun to the privacy of your home, office, or event spaces. Our small guest to chef ratio allows plenty of one-on-one time with a master trained chef to bring out the cooking skills in everyone. Be our guest at Williams Sonoma for one of our cooking demos and classes – see our schedule for details. Contact us to create the perfect private party or class for you, your family, your friends, or your office! Our fun Fresh Chef Experience Cooking Classes and Parties begin when our professionally trained chefs arrive with everything required to have a great cooking event – we provide all the food and all the cooking equipment. With our small chef-to-attendee ratio, we promise to bring out the culinary skills for everyone – whether you and your guests are beginners or advanced foodies. 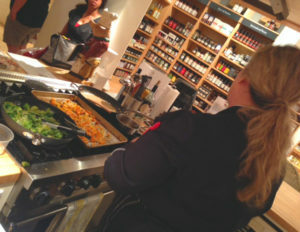 Fresh Chef Experience Cooking Classes and Parties set up, entertain, and clean up – you just enjoy your event and have fun! Fresh Chef Experience Cooking Classes and Parties offer a wide variety of options, over 150 cooking classes, and party ideas, or you can even create your own Fresh Chef Experience Cooking Classes event. Our professionally educated and trained chefs will instruct you and your guests how to prepare excellent food with menus ranging from learning basic skills through mastering high-level techniques. So, get your party going and call us today at 502-386-5241. 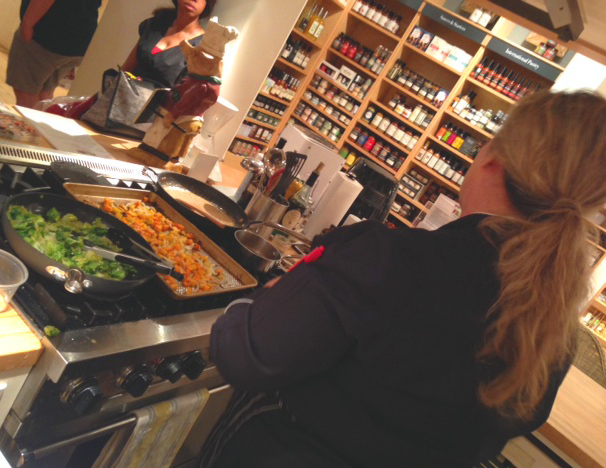 Fresh Chef Experience Cooking Classes and Parties are Fresh, Food and Fun! 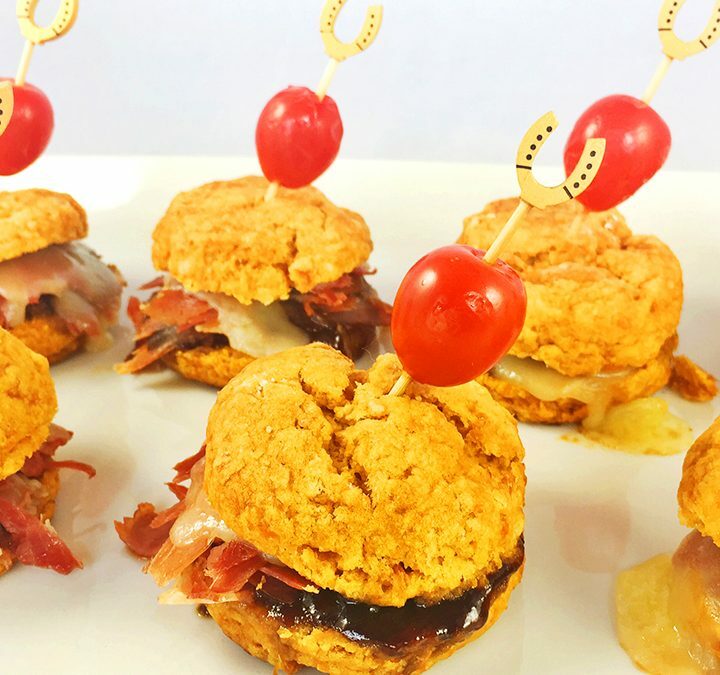 An ideal Kentucky appetizer for Derby Day, or any spring party, this tasty combination will disappear quickly from your dinner table or buffet. Sweet potato and buttermilk biscuits are filled with country ham, fontina cheese, and spicy sweet raspberry and jalapeño sauce. Our private Fresh Chef Experiences happen with a small guest to chef ratio – so all attendees enjoy plenty of one-on-one time working directly with a professional chef in the privacy of their home, office, or event space. We provide all the food and cooking equipment. We are about fresh ideas, delicious food, and lots of fun! Call us or text us today at 502-386-5241 for more information or to book your Fresh Chef Experience Cooking Class or Party! 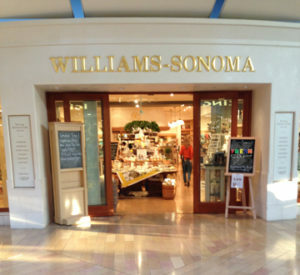 Looking for a recipe sheet from a past Fresh Chef Experience appearance at Williams-Sonoma Mall St. Matthews in Louisville or Fayette Mall in Lexington, Kentucky? Click on the links below to download a printable pdf. Fresh Chef Experience is a product of Fresh Food Ideas. For more information about Fresh Food Ideas visit our website at www.freshfoodideas.us.